Freedom Motors Australia has wheelchair vehicle hire available for people with disabilities. All wheelchair vehicles for rent come with 4-point wheelchair tie-down systems and seat belts. Every handicap van for rental is an automatic and has air-conditioning and child restraint points fitted. A late charge of $20 will occur for each hour the wheelchair vehicles for rent is returned late. The maximum charge is 1 day handicap van rental each day. Insurance excess is $3,000.00.you can reduce this to $0 by paying an extra $13.00 per day. Freedom Motors wheelchair vehicle hire plans gives the first 200 kilometres per day free. Any additional kilometres are charged at 25 cents/km. All handicap van rental prices include GST. Pick up and return from St Marys (40Km from Sydney CBD), NSW. We can deliver and pick up the wheelchair vehicles for rent within a 50km radius. An extra $150.00 each way is charged. If outside the 50km radius to be quoted at the time. Total wheelchair vehicle hire amount must be paid before delivery. Wheelchair vehicle hire payment can be made by credit card or paid by cash or eftpos in person. NOTE: If you receive a fine or Infringement notice we will send the fine/infringement notice to you by mail and it is your responsibility to pay the fine. If you receive a toll fine we will charge your credit card. In case of an accident or breakdown we may not be able to supply you with another rental wheelchair van as we only have the 1 rental wheelchair vehicle available. The driver of the hired wheelchair van must be 25 years of age or over. An open (Non L’s or P’s) and valid (current) license, is required to hire these wheelchair vehicles. The driver of this wheelchair van must have had a valid license for a year with a minimum of two years driving experience. IMPORTANT NOTE: If a wheelchair van is rented for Freedom Motors “Try Before You Buy Scheme”, a maximum of one days handicap van rental (not including petrol costs or mileage extra’s) can be deducted from over all costs of wheelchair vehicle conversion, if you place an order with Freedom Motors Australia. The wheelchair vehicles for rent must have a full tank of fuel on return. 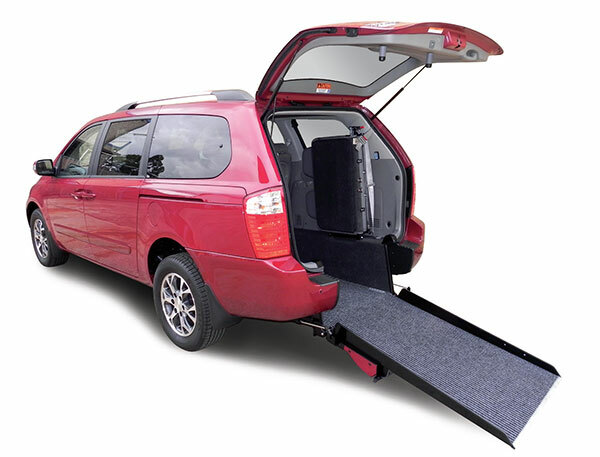 For Wheelchair Vehicle Hire enquiries please Click Here.